Barbie dolls come in several shapes and varieties. The vintage original body style has a smaller waist and wider shoulders. The Model Muse collector doll size is thinner. 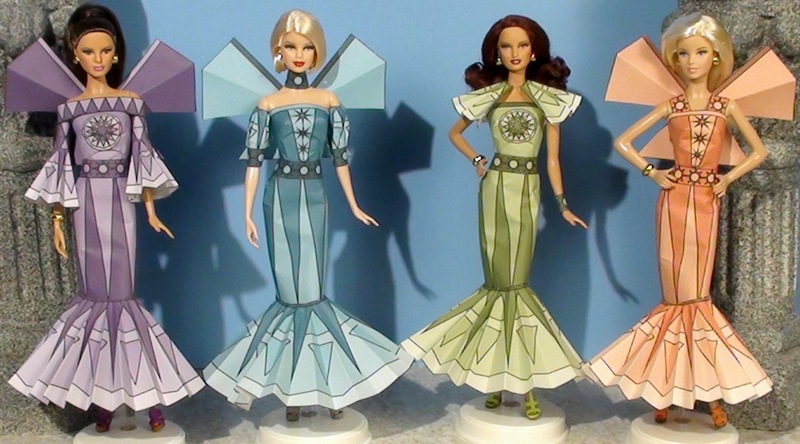 And there are the posable Barbie Fashionistas. Skipper, Stacie, and Chelsea can wear my outfits too but they are much thinner and smaller. For Chelsea dolls I use the small circle for the skirt. The pink dress has straps and a small circle skirt with a belt wrapped around both. The purple dress has the small circle skirt wrapped around the straps. On this dress I taped the straps in place directly to the doll. The green dress has a belt, a small circle skirt and a wrap around collar. 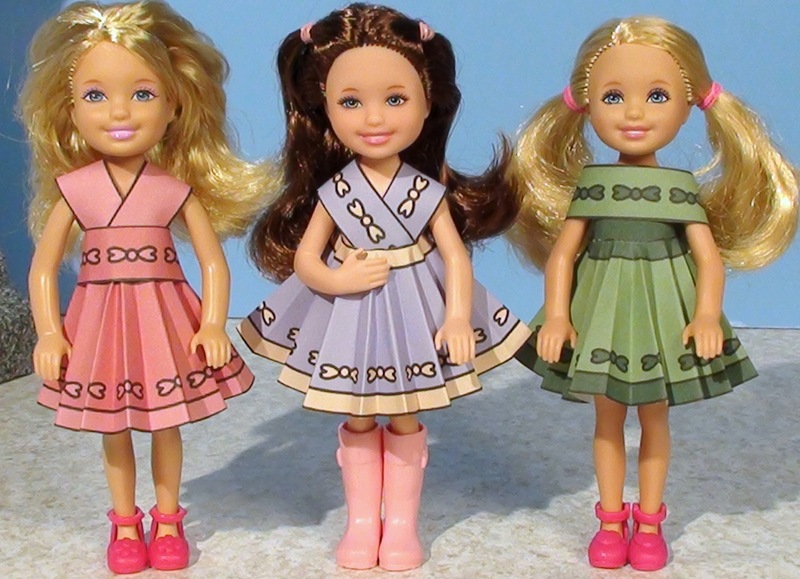 There are a lot of combinations that look great on Barbie dolls.